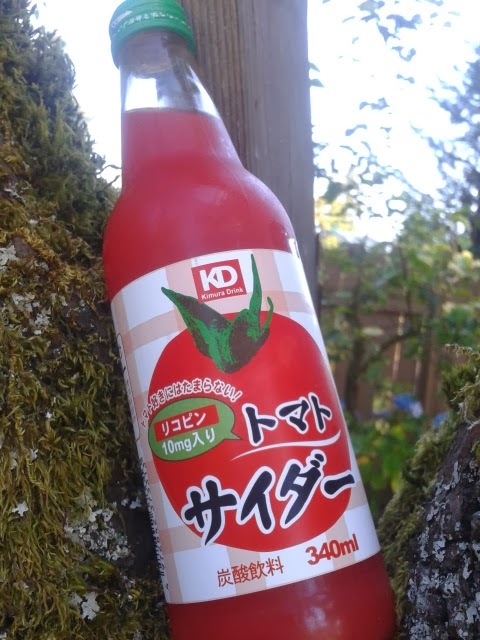 Today I have another one of my 'weird'/'odd' Japanese drinks and this time it's a Tomato Cider! As with the other drinks from this line, they have cute packaging and picture the main flavor on their label. The clear glass bottle also shows you the true red color of the tomato cider. Imagine taking some V8 tomato juice or tomato soup, add some carbonation and sugar, and Bam! That's what you get in this bottle. There truly is a strong tomato flavor in it but surprisingly, it works well with the carbonation and sweetness. I even had my mom try it and she said it was good and the flavor was decent, she actually just didn't care for how carbonanted the drink was. I bought this for around $2.79 and unfortunately I can't find it anywhere online. If you have a Japanese grocery store nearby or have a friend that lives near one, ask them to check for you! Would you try this tomato cider?? 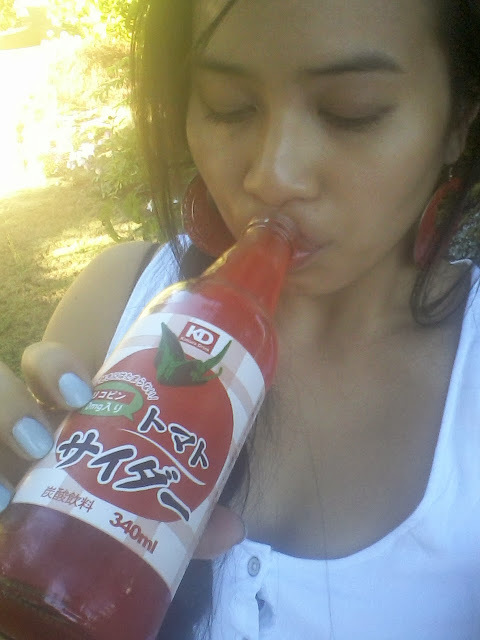 I'm Korean and I love discovering these unique Asian drinks! People are always so sceptical about them until they try it! I'll admit there are somet things that can be 'out there' but you're right on that people really don't know how something is until they try it!